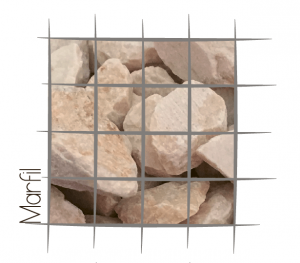 The gabion is a very common complement in traditional construction, facilitating or resolving containment, insulation, conservation and hydraulic control works, together with more modern applications, such as using it as the ideal complement for a well-structured garden. 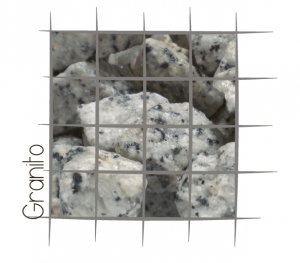 All these characteristics of gabions may make them appear to be too technical or complicated. However, at Téseris, we have been able to facilitate its transport and onsite assembly, while maintaining all its advantages, thanks to a wide variety of supports and forms. 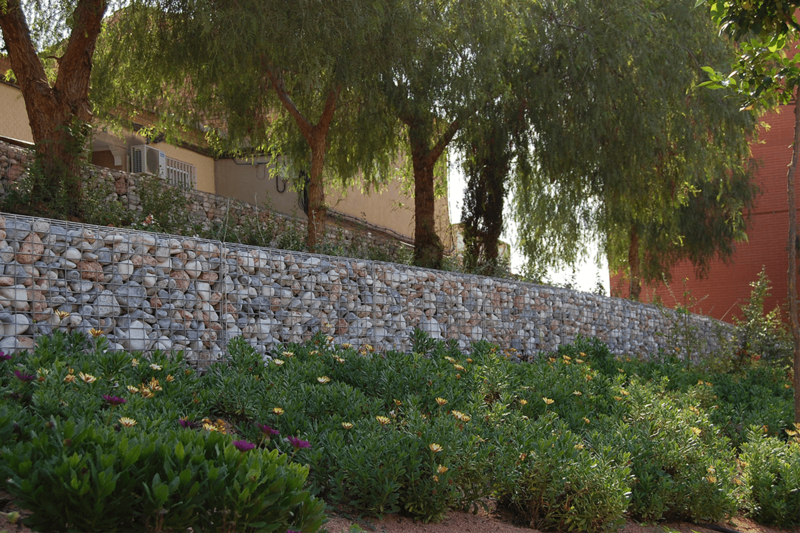 The excellent finishes of these gabions emphasises the roundness of its vertices, the use of high-quality, non-rusting and long-lasting materials, the upper handles that facilitate its transport and handling, together with the mechanical vibration carried out at the factory ensure that the gabion reaches its destination intact and ready to be employed in whatever ambient you desire. 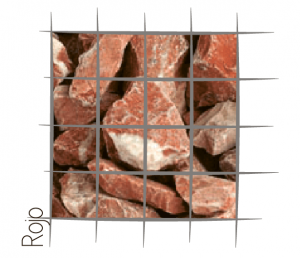 Crushed-rock filling in several colours, in special sizes from 60 to 100 mm specifically to prevent the material from protruding from the gabion. Vibrated gabion for enhanced filling-settlement and closure at the factory and using galvanised clamps, rounding the corners for a better finish. With interior rods that reinforce the structure, thus preventing deformation and upper handles to facilitate manipulation and onsite assembly. 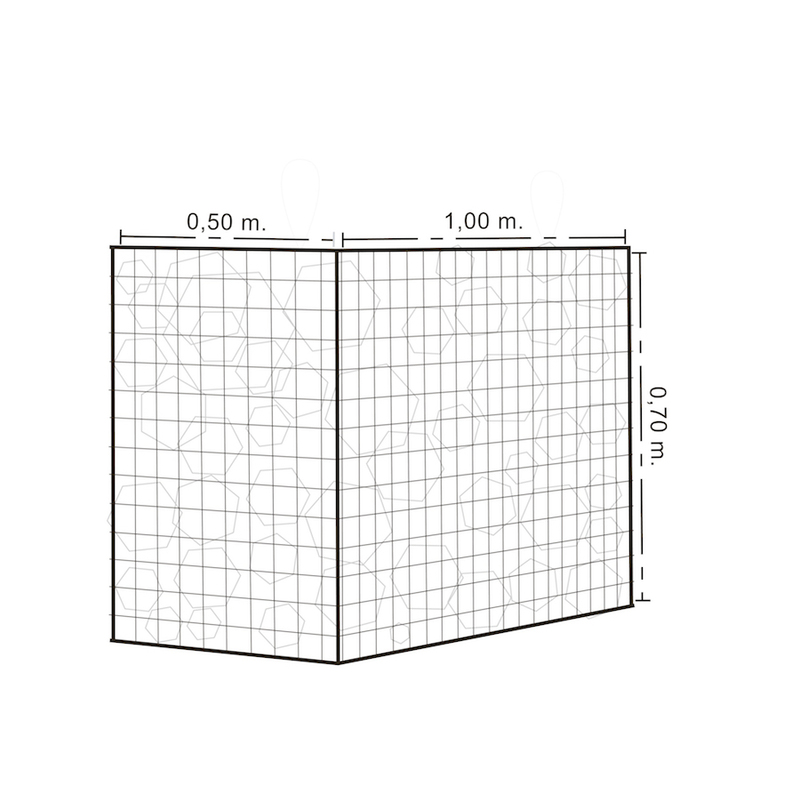 Galvanized structure,made up of 50×50 electrowelded mesh of 3.70 mm thick galvanized wire, formed by 100×50 mm squares. 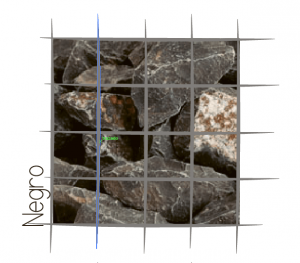 The gabion body is thicker to increase impact resistance and improve its containing characteristic. 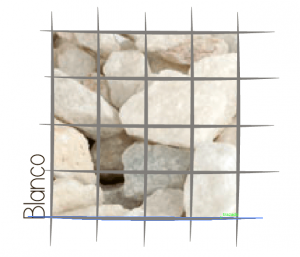 You can also see our Decorative Gabions, or in case of doubt, you can contact us and we will advise you on the product that best suits your needs.